George Holmes (’20) has drive. He always has. He’s known since before he even set eyes on the School of Business at Gonzaga that he wanted to pursue a career in finance—specifically, with a company that works with cars. Gonzaga fit the bill when it came to preparing him for his dream career, but for Holmes, GU went far beyond providing a stellar education. It started during his Gonzaga Experience Live (GEL) weekend, where he got to see first-hand just what the Gonzaga community is all about. “I saw how a simple smile or ‘hello’ can make someone’s day,” he said. Holmes’ Gonzaga experience has continued to motivate and inspire him. From the flag football field to his finance classes and everywhere in between, the community he experienced during GEL weekend hasn’t changed. Fueling Holmes’ experience are the scholarships he has received. He is extremely grateful for the donors who support him and all Zags in need of scholarship aid. Thanks to your support, Holmes is excited to reach the finish line and follow in your footsteps. 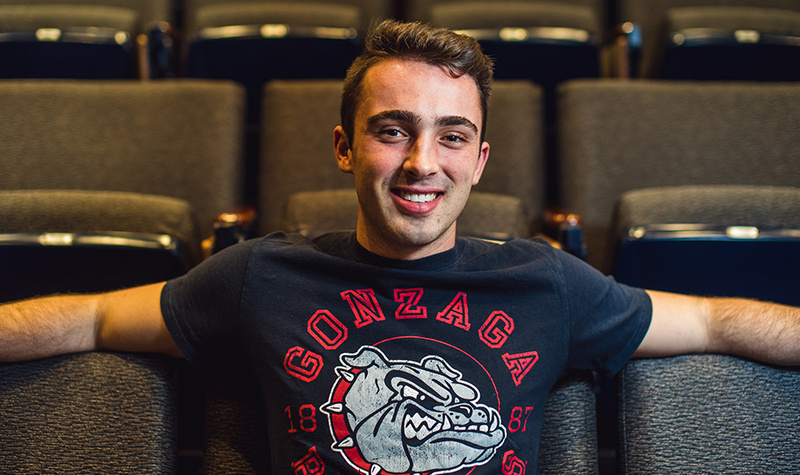 Make a scholarship gift today and have in impact on Zags like George and through them, the world.